Joe Graves is a real Mountain Man. 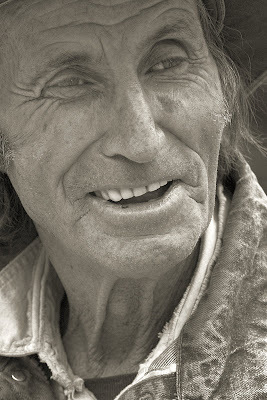 Born and raised in Taos Joe is part cowboy, part miner and a big part craftsman. His buddy Lindsey says he can make anything and that he once carved his own false teeth out of wood and tied the things in with fishing line. Later he got real choppers in Mexico. Did I mention Joe's tough?